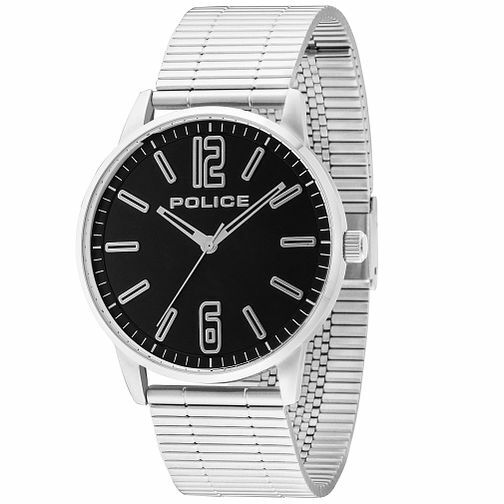 Men's Esquire stainless steel bracelet watch by fashion house Police. Styled with a smart black contrasting dial with silver tone markers. Easy to wear and effortlessly chic.